305km cycling event starting from Llandrindod. Controls at Llandovery, Talybont-on-Usk and Drovers Cycles (Hay-on-Wye)., plus 5 information controls. 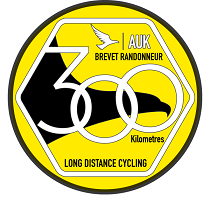 A new ride for 2019 set entirely on asphalt, the ultimate 300km road-based challenge. Chosen to emulate the sort of conditions found on rides such as 'The Trans Am', with the most iconic climbs and vistas in Wales. Leaving Llandrindod the ride crosses numerous river valleys through Beulah, through the Abergwesyn common to climb the devils staircase. Then skirting Lynn Brianne and stopping for breakfast at Llandovery. Then a short cycle to cross the west Eppynt with spectacular views. A chance to regain some energy before the second 'Devil', this time it's the devil's elbow, once crested you're rewarded with stunning views to the north. Passing through grass dezerts you will eventually find yourself cycling along the lanes and ultimately dropping down to Talybont-on-Usk for a stop and refuel. Continuing down the Usk valley once again getting a rest before your next challenge - traversing the Gospel Pass. Once again, the vista from tbe summit is simply stunning, after a swift descent you will find yourself at the next control - which also happens to be a Drovers Bike store, so if your steed is in need of something - now's your chance. The final 50km start with gentle rods and lanes giving you time to ascend the Biylth mountain road at Erwood. The climb is sgarp to begin, but yields to a steady incline, again your rewatd will be views to amaze you - even in the evening light. Dropping off the climb and heading south for a short distance you ytaverse the east side of the Eppynt. Descending down to one of tbe many smal spa towns, the final trek to arrivee is a retrace from Beulah through Newbridge back to Llandrindod Wells.